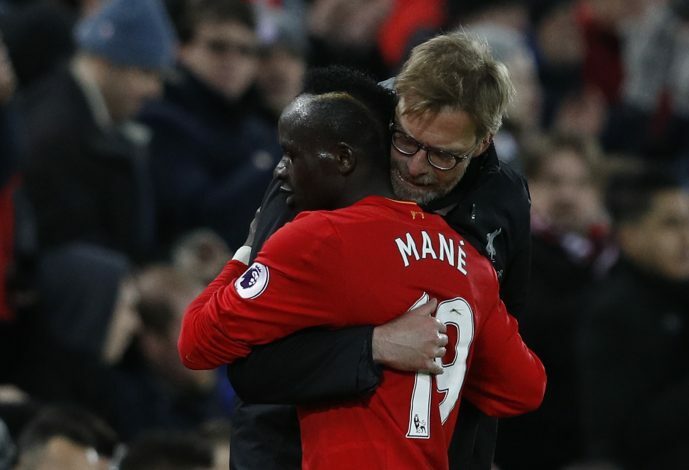 Sadio Mane has revealed how he feels about the prospect of Kalidou Koulibaly joining Manchester United. The Red Devils have been in pursuit of reliable defensive reinforcements for quite some time now, and Koulibaly has been on the very top of their transfer wish-list. While there have been contrary reports regarding the Mancunian giants’ chances of pulling this transfer off, the news that has remained constant is that United will most likely have to break the world transfer record for a defender to sign the Napoli superstar. This transfer could very well materialise this summer, though, as the Premier League giants remain keen on bringing in an experienced central defender. Apart from the club, however, even its supporters are keen on welcoming a defensive signing, with Koulibaly being the preferred choice for the majority of the fan-base. In fact, Manchester United‘s supporters in Senegal made sure they let the centre-back know about their desire during a training session ahead of Senegal’s Africa Nations Cup qualifier against Madagascar. The Red Devils’ fans were seen carrying a banner that displayed an edited picture of Koulibaly wearing a Manchester United shirt, with the words “come to United” written on it. While a pleasing gesture for Koulibaly himself, this message was clearly not approved by the 27-year-old’s fellow international teammate, Sadio Mane.